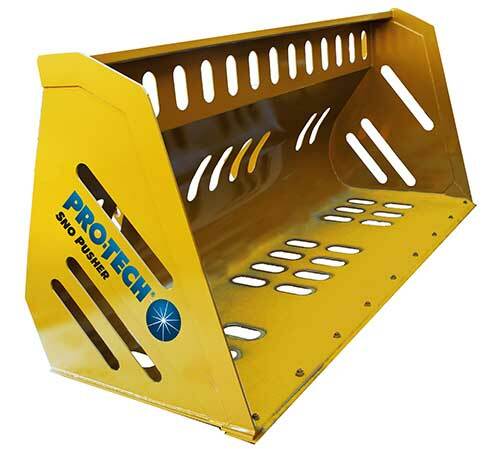 Pro-Tech Manufacturing and Distribution debuted the Sno Basket, a lightweight bucket that allows for easy loading and hauling of snow, the company said. The Sno Basket, which is designed for stock backhoe and compact wheel loader baskets, features a flat-bottomed design, built to offer maximum snow collection and capacity. It also comes with a replaceable steel cutting edge. The slots on the bucket are designed to compress and collect the maximum amount, while allowing water to escape when moving slushy snow, Pro-Tech said. Eliminating water in the bucket eliminates weight in the bucket and truck bed. The Sno Basket is built using fully welded construction and multiple connection types are available.